Representatives of ex-service organizations saluted after laying wreaths at a memorial service at the ANZAC War Memorial to mark the centenary of the armistice ending World War I, in Sydney, Nov. 11. 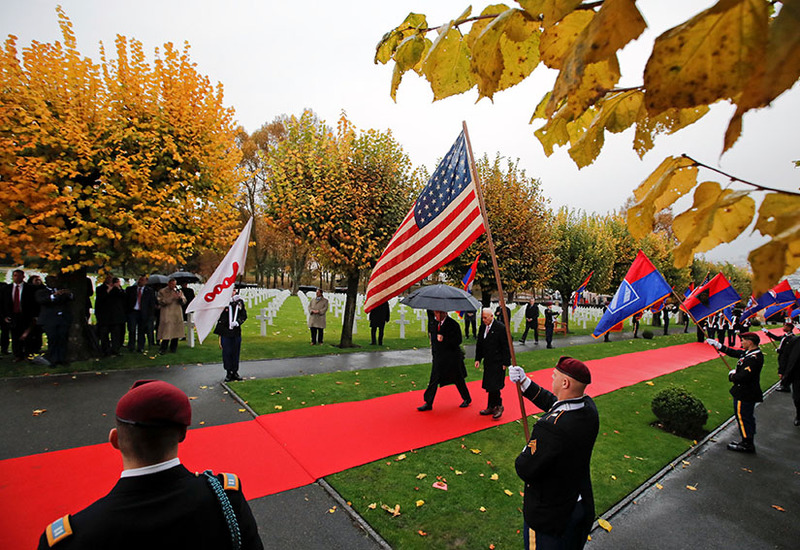 U.S. President Donald Trump arrived to take part in the commemoration ceremony for Armistice Day, 100 years after the end of World War I, at the Suresnes American Cemetery and Memorial in Paris Nov. 11. The war led to the deaths of an estimated 40 million people. VATICAN CITY — The brutality of the First World War is a lesson that the world has yet to learn, Pope Francis said. 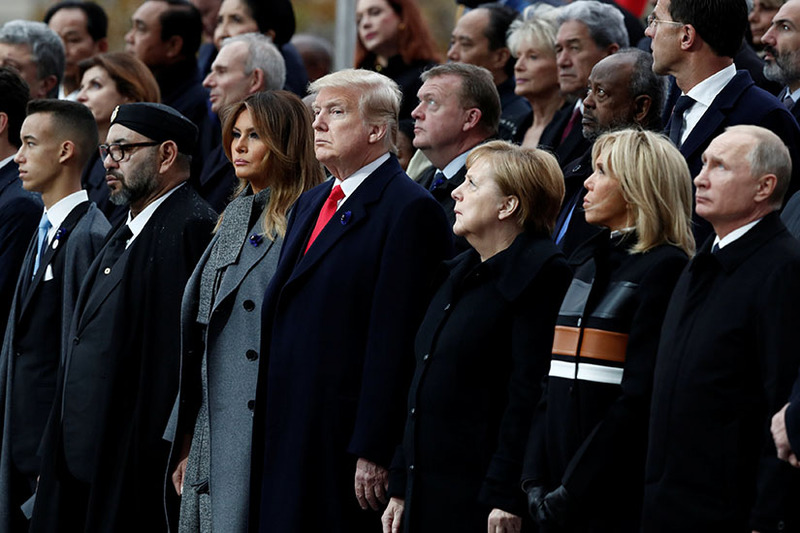 World leaders and their spouses attend the commemoration ceremony for Armistice Day, 100 years after the end of World War I, at the Arc de Triomphe in Paris Nov. 11. From left are Morocco’s King Mohammed VI, U.S. first lady Melania Trump, U.S. President Donald Trump, German Chancellor Angela Merkel, Brigitte Macron, wife of French President Emmanuel Macron, and Russian President Vladimir Putin. Also present at the event were U.S. President Donald Trump and First Lady Melania Trump, Canadian Prime Minister Justin Trudeau, Russian President Vladimir Putin and German Chancellor Angela Merkel.